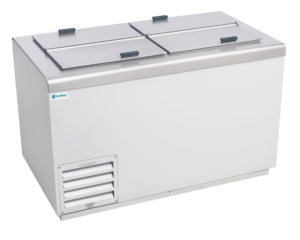 We supply all manner of food service equipment from Reach-in coolers & freezers, to hardening cabinets, and ice cream dipping cabinets. These products are designed to maximize space without minimizing quality. We carry products to fit any budget and situation. 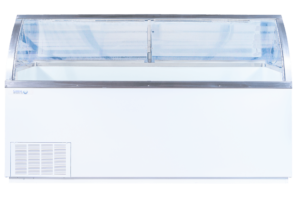 Are you looking to replace the cooler in your office break room? Are you opening a new restaurant? Is the prep table on your kitchen line acting up and on it’s way out? 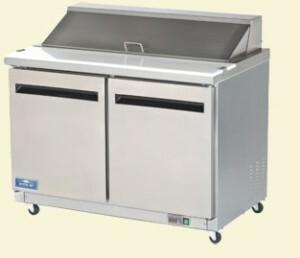 If so, our team will help you determine the best food service equipment solution for you. We are an authorized distributor for Global Refrigeration (formerly Kelvinator), Excellence Industries, Arctic Air, Turbo Air, and many more. Call 631-249-4556 for pricing and availability.